See the original post on UC ANR’s site here. This entry was posted in Healthy soils. Bookmark the permalink. 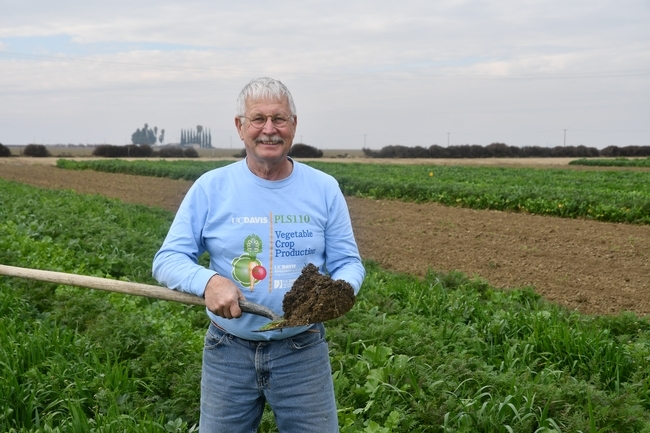 Jeff’s plots have been invaluable to NRCS and RCDs and others in demonstrating how tillage and cover crop practices make clear differences in building good soil structure. Usually we bring the soil to a distant site to show the public (for example in a slake test). It’s great the public can also go to the soil any Friday through June.